Stay cool while keeping dry on daily runs. 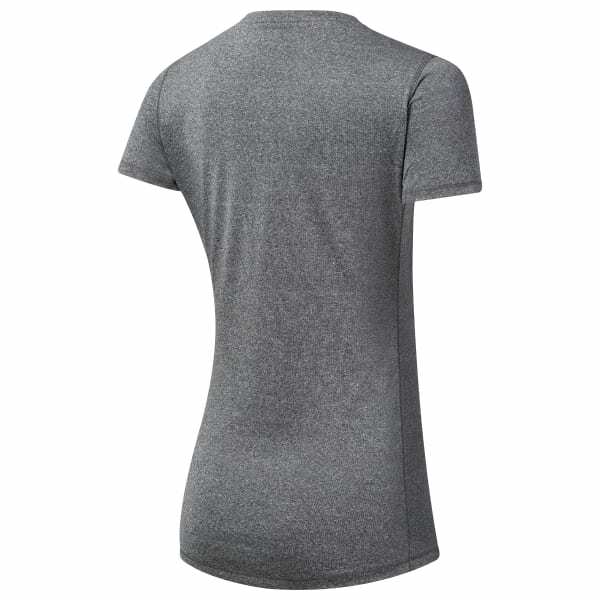 This women's scoop neck tee is made with Speedwick fabric that helps move away sweat as the temperatures rise. Its slim-fitting cut is designed to stretch as you up the pace. A reflective logo on the front flashes Reebok pride.